Stanley N. Alpert is singing in honor of his father, who was a cantor in Brooklyn with a sweet tenor voice his son’s can never match. For day work, Stan is an environmental lawyer who was Chief of Environmental Litigation at the U.S. Attorney’s Office and now runs The Alpert Firm, a New York City environmental, real estate and commercial litigation, and qui tam false claims practice. He sues companies that have polluted the environment for injuring people personally, or injuring their property, or for contaminating municipal drinking water systems across the United States. Stan also is the author of The Birthday Party: A Memoir of Survival, released by Putnam (Penguin Group) in January 2007. All details at: www.stanleyalpert.com. 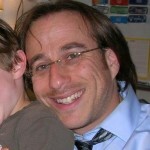 Rabbi Moishe Steigmann joined the Milwaukee Jewish Day School in the summer of 2012 as the School Rabbi and Director of Jewish Life and Learning. He had been the Associate Rabbi of the Westchester Jewish Center in Mamaroneck, NY for six years and, prior to that, received his rabbinic ordination and a master’s in Jewish education from the Jewish Theological Seminary of America (JTS) in New York. He is also a graduate of the University of Wisconsin – Madison. Rabbi Steigmann has taught formally and informally in various educational settings, has designed curricula, and has co-authored a published work on Judaism and education. He is committed to living a vibrant Jewish traditional life in our contemporary world, maintaining Jewish principles and laws, and engaging in tikkun olam (repairing the world) and gemilut hasidim (acts of kindness). 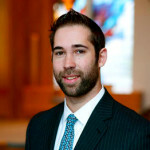 In addition, Rabbi Steigmann is a big sports fan, especially of the Green Bay Packers, and also loves games and puzzles. He is the father of Matan and Yael. Rabbi Elianna Yolkut received her rabbinic ordination from the American Jewish University’s Ziegler School of Rabbinic Studies in 2006 and holds a BA in Near Eastern and Judaic Studies and Sociology from Brandeis University. Following rabbinical school Elianna served as the Assistant Rabbi and Religious School Director of Adat Ari El, a Conservative synagogue in Los Angeles, CA, and as an adjunct faculty member at the Ziegler School of Rabbinic Studies and the Fingerhut School of Education at the American Jewish University. Upon moving to New York in 2010 she worked as the Director of the Center for Jewish Life at the Jewish Community Project Downtown. Currently Elianna is a fellow of Rabbis Without Borders and serves the Jewish community as a freelance rabbi (www.keepingkavannah.blogspot.com) through a portfolio of teaching, speaking and writing as well as guiding individuals and families through lifecycle events. 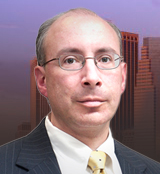 Richard Claman is the partner in charge of business litigation at a boutique Manhattan law firm representing commercial developers. He is a graduate of Harvard and Harvard Law, and has lectured and written on professional subjects. During the past 15 years he published six papers in Conservative Judaism and two papers in the Journal of the Academy for Jewish Religion (available on-line), and delivered papers at the past three sessions of the World Congress for Jewish Studies in Jerusalem on various issues in modern Jewish philosophy. These papers emerged from adult-ed and teen classes over many years at Town & Village Synagogue. He served for 32 years as hazzan sheni, Torah reader and shofar blower at the 92nd Street Y (see livestreams for the past two years). His current writings on prayer seek to understand how meanings emerge from the architectural interplay of different images in different text-units. 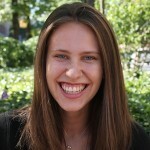 Lauren Binder is currently pursuing a joint BA from Columbia University in American Studies and Psychology, and the Jewish Theological Seminary in Midrash and Scriptural Interpretation, expected 2015. 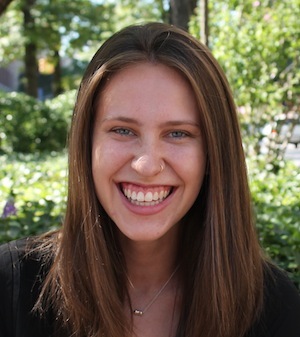 On campus, Lauren has taken an active leadership role in Jewish life, leading Shabbat and Rosh Hodesh services and portions of Rosh Hashana and Yom Kippur services each year. This will be her fourth year in S’madar, the pluralistic Jewish, all-women’s a cappella group of Columbia University and Barnard College, of which she will serve as the Musical Director this year. Off campus, Lauren has worked as a religious school teacher in Manhattan for over two years and interned at several health and human service agencies, including F.E.G.S Health and Human Services. She is currently interning at Lenox Hill Neighborhood House, working on health and wellness initiatives to reach various populations of New Yorkers. Mick Fine completed his BA in Hebrew Language and Literature at the Ohio State University and continued his studies as a DeLeT Fellow at Brandeis University, where he completed an MA in Teaching Hebrew. Mick has spent the past several years working in Jewish education, first as a Hebrew school teacher and then as a full-time Jewish studies educator at the Solomon Schechter School of Manhattan, and more recently editing and writing curriculum for Hazon, Teva, and JDC. He worked as a rabbinic intern in Youth and Family Education at B’nai Jeshurun in New York City, in addition to being a faculty member for many years at the Rebecca and Israel Ivry Prozdor High School. Mick is now in his last year of studies in the rabbinical school at The Jewish Theological Seminary where he is the MAZON Hunger Advocacy Fellow. Amanda Pogany is an educator, consultant, mentor and coach. Past clients include The Covenant Foundation, Mechon Hadar, JDub Records, The Six Points Fellowship and The Pardes Institute. She is currently the Associate Director of the Pardes Educators Alumni Support Project. She taught middle school Judaic studies for 7 years. A trained mentor through the Jewish New Teacher Project, Amanda mentored for the Davidson School at JTS, the Pardes Institute, and the Solomon Schechter School of Manhattan. Amanda is a trained facilitator through the Center for Leadership Initiatives, is a graduate of the Pardes Educators Program, has a Masters in Jewish Education from Hebrew University and a BA from Barnard College. 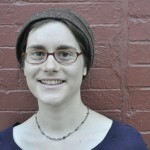 She is co-founder of Altshul, an independent egalitarian minyan in Brooklyn. She lives in Prospect Heights with her husband Aaron and their two children, Asher and Maisie. Aviva Richman is on the faculty of Yeshivat Hadar in Manhattan and is pursuing a phd in Hebrew and Judaic Studies at NYU as a Wexner fellow . She has led high holiday services in the past in Washington state, Colgate University, LA and Manhattan and is very excited to be leading services this year right in her neighborhood in Brooklyn. A native of Baltimore, and alum of Oberlin College and the Pardes Institute, Aviva brings a diverse range of melody and insight into the high holiday experience. Rabbi Joshua Cahan directs the Jewish Theological Seminary Beit Midrash while working toward a Ph.D. in Talmud. Originally from Washington, DC, he began his path to being a professional Jew as manager of Magevet, the Jewish a cappella singing group at Yale. His first High Holiday sermons were actually given in Russian, in the central Russian city of Perm, as a traveling educator for the JDC. Josh has run the Northwoods Kollel, a summer yeshiva program at Camp Ramah in Wisconsin, since 2000. And his new bencher (book of Shabbat songs and blessings), Shalom Aleikhem, was published in 2009.
teigmann is a big sports fan, especially of the Green Bay Packers, and also loves games and puzzles. He is the father of Matan and Yael. Rabbi Joanna Samuels serves as the Director of Strategic Initiatives at Advancing Women Professionals and the Jewish Community. Prior to assuming this role, Rabbi Samuels served for six years as the rabbi of Congregation Habonim in New York City, where her leadership was instrumental to revitalizing the community. Joanna has taught at Drisha, the JCC of Manhattan, Yeshivat Maharat, The Society for Advancement of Judaism, The Natan Fund, The Samuel Bronfman Foundation, and the General Assembly of the Jewish Federations of North America. She received rabbinic ordination from the Jewish Theological Seminary of America, where she was a Wexner Graduate Fellow. 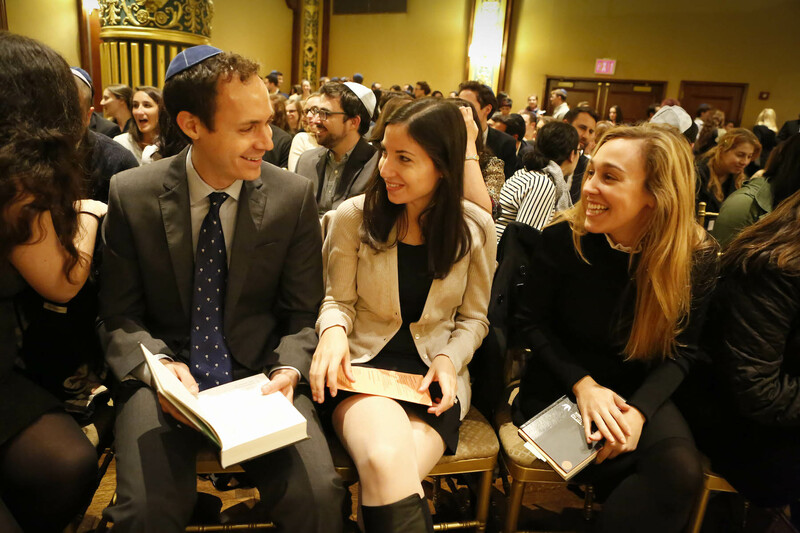 Gadi is currently a third year rabbinical student at the Jewish Theological Seminary (JTS) in Manhattan. He was born and raised in Israel and moved to New York in 1995 after completing a four-year army service in the Israeli Defense Force (IDF) as a Lieutenant in a search-and-rescue unit. In 2001 he graduated from Yeshiva University (YU), where he studied Business Management and Jewish Studies. He then worked as a business analyst in the banking and consulting industries for eight years. During that time Gadi also pursued a Master degree in Jewish Philosophy from YU. In 2008 Gadi decided to “take his passion and make it happen” and become a full time rabbinical student. 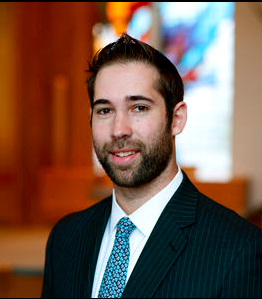 For the past three years Gadi served as a rabbinical assistant at Temple Beth Sholom in Sarasota, Florida, taught Judaism at Camp Ramah in the Poconos, volunteered as a chaplain at the Columbia Presbyterian Hospital. Last year Gadi was a fellow of CLAL’s Rabbis Without Borders (RWB) and for over four years he has been teaching Project Genesis–a Jewish-Catholic monthly class at Our Lady of the Island shrine in Eastport, NY. Arielle Rubenstein hails from Houston, where she learned to love Jewish music from her synagogue’s Hazzan, Steven Berke. She is a lifelong choral singer, and has sung with the Harvard-Radcliffe Collegium Musicum and the Zamir Chorale. In college, she was a student leader of the Conservative Minyan, where she participated in High Holiday services for several years. Last year she led High Holiday services at the University of North Carolina Hillel. Arielle graduated from Harvard with a B.A. in Social Studies in 2007, and currently works as a paralegal in Manhattan. Jason Rubenstein is a fourth-year rabbinical student at the Jewish Theological Seminary and holds an MA in Talmud from JTS and an AB in Social Studies from Harvard College. In addition to his work at Ohel Ayalah, Jason is on the faculty of Yeshivat Hadar’s summer program, where he serves as a resource during Talmud study and supervises group processing. An alumnus of Yeshivat Ma’ale Gilbo’a, Jason has led three trips for the Nesiya Institute, and is a recipient of a Wexner Graduate Fellowship, a Legacy Heritage Rabbinic Fellowship, and a Graduate Fellowship from The Center For Jewish Law and Contemporary Civilization at Cardozo Law School. Elinor Nauen comes from a family of professional musicians but has put aside the violin to concentrate on blowing the shofar. From a Reform congregation in Sioux Falls, South Dakota, last year she celebrated her adult bat mitzvah at Town and Village, where she attends daily minyan and is librarian of the Grayson Library. She has worked as an editor at Judaica Press, on the Books of the Bible series. She has published a number of books, including anthologies of women writers on cars and baseball and volumes of her own poetry. Her poetry and prose has been published in many literary magazines and anthologies. She makes her living as a freelance writer and editor, editing books by Senator George Mitchell, Paul Krassner and others, and for such publications as Self, AARP: The Magazine, Newsweek and Organic Style, on subjects that include health, automobiles, media issues and sports. She has taught writing workshops, guest-lectured and/or read at Washington State University, the University of South Dakota, Columbia University’s Graduate School of Journalism, Hofstra University, the University of Tulsa, the National Baseball Hall of Fame in Cooperstown, NY, and the Sports Literature Association (keynote speaker), as well as many high, middle and elementary schools; she was the visiting poet at Pingry School in Martinsville, NJ, for several years. She is on the board of directors of the Poetry Project and the editorial advisory board of Southern Illinois University Presss Writing Baseball series. Patricia Rudden has been singing and leading services for a number of congregations and minyans in New York City and vicinity. She is currently the regular service leader, with Rabbi Judith Hauptman, at the Cabrini Center for Nursing and Rehabilitation. She has sung in synagogue choirs and with the Zamir Chorale, and at Chanukah parties and community Seders of the Jewish Faculty and Staff Association of New York City College of Technology, where she is Associate Professor of English. Abraham Menashe is a free-lance photographer whose essays and fine-art work have graced the pages of numerous publications, including Newsweek, Scientific American, The New York Times, and Time-Life Books. Abraham is committed to images that affirm life, provide refuge, and offer healing. His humanistic photography is acclaimed for its poetic beauty and compassion. Born in Egypt in 1951, Abraham Menashe now lives in New York City. His books include Inner Grace (Knopf, 1979), about AmericaÂ’s multi-handicapped population, published in conjunction with a show at the Witkin Gallery, New York City, and The Face of Prayer (Knopf, 1980), images made around the world on the nature of reverence, published in conjunction with a show at the International Center of Photography, New York City. Abraham Menashe’s photographs are in several museum collections, including New York’s Metropolitan Museum of Art, the Brooklyn Museum, the Museum of Modern Art, and the Jewish Museum, New York City. Commissioned work includes a permanent installation at the Church Center of the United Nations. To see more of his work, visit www.humanistic-photography.comAbraham will be reciting the first day Rosh Hashanah Torah reading (Genesis 21:1-34) and Maftir (Numbers 29:1-6) using the Spanish-Moroccan Sephardic cantillation. Zackary Sholem Berger is a member of Town and Village Synagogue, but considers himself a post-denominational Jew. He is a contributor to Forverts (the Yiddish Forward) and Forward, and publishes poetry and essays in a number of journals in both English and Yiddish. He also maintains a blog, zackarysholemberger.blogspot.com. He and his wife, Celeste Sollod, have recently founded Twenty-Fourth Street Books, a publishing house specializing in Yiddish-language translations of English-language children’s books. Their first book, Di Kats der Payats (The Cat in the Hat in Yiddish),is available at www.yiddishcat.com. In his other life, Zack is a student in the MD-PhD program at New York University. Zack and Celeste live with their daughter, Blanca, and their son, Micah, in Manhattan. Julia Andelman received her rabbinical ordination in May 2006 from the Jewish Theological Seminary, where she is also pursuing an M.A. in Talmud. She served as interim spiritual leader of Beth Jacob Synagogue in Hamilton, Ontario. She is now the rabbi of Cong. Sha’arei Tzedek on the Upper West Side of Manhattan. Prior to her rabbinical studies, Julia received a B.A. in Visual Arts from Harvard, where she served on the Harvard Hillel Steering Committee and sang with the nationally acclaimed Harvard-Radcliffe Collegium Musicum, a mixed choir specializing in Renaissance and early music. She then spent three years engaged in intensive text study at the Conservative Yeshiva in Jerusalem. Julia is a popular shelichat tzibur (prayer leader) in the New York area, and also teaches, consults, and travels as a scholar-in-residence in the area of Jewish prayer. She is especially known for her work with Kehilat Hadar on the Upper West Side, for whom she produced Pri Eitz Hadar, a CD of nineteen eclectic prayer melodies from different Jewish musical traditions. She is currently working on her second CD, a compilation of Hebrew lullabies that will serve as a companion to a forthcoming children’s book based on the Bedtime Shema. 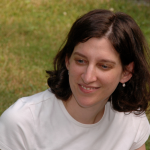 Julia also composes melodies for Jewish liturgical and biblical texts. 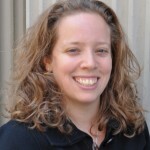 Lisa Birzen joined Ohel Ayalah in 2010 as the new Project Director. She graduated from Dartmouth College with a degree in mathematics and brings extensive experience in the fields of education, journalism, and technology to this position as well as her passion for the mission and goal of the organization. Prior to coming on board, Lisa attended Ohel Ayalah services and events for several years and knows first-hand of the positive impact that Ohel Ayalah has on a person’s life and is excited to now be working behind the scenes to help create the same welcoming, engaging environment for others. 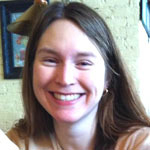 Meredith Druss joined Ohel Ayalah in March 2009, taking on the responsibilities of Administrative Coordinator. Born and raised in South Florida, she graduated Dartmouth College in 2008 with a BA in Linguistics and Psychology, and a minor in Chinese. Involved in Jewish life since she personally chose her Hebrew name at the age of seven, Meredith was actively involved in her Jewish youth group, was both a camper and counselor at Camp Ramah New England, was president of the Dartmouth Hillel, and currently works for Birthright Israel NEXT. Meredith’s passion for Judaism stems from the pride she felt in surprising people with her mixed Asian-Jewish background. Since then, she’s worked to instill that pride in her friends and peers. Currently residing in New York City, Meredith loves exploring the streets, and has often expressed that there is no city with better food than NYC. 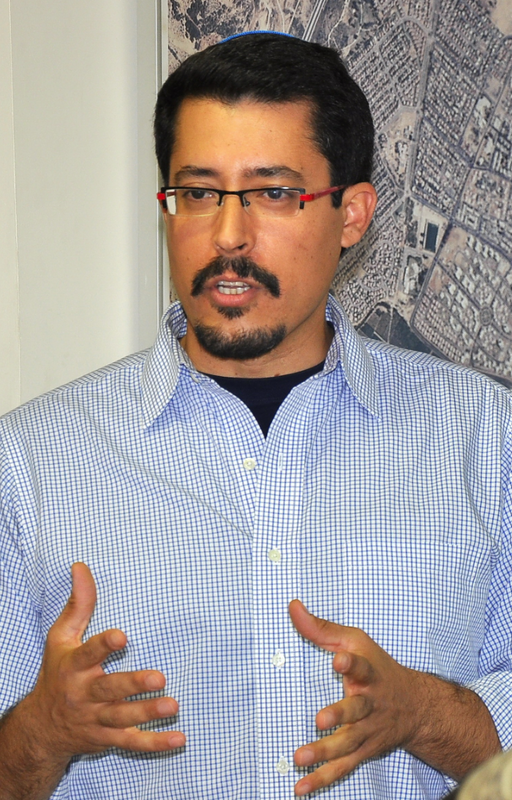 Born in Haifa, Israel, reared in New York City, Hanniel Levenson is the project coordinator for Ohel Ayalah. Hanniel majored in Hebrew and Judaic Studies at New York University and was awarded a Master of Science degree in environmental policy at Bard College. A self-described post-denominational Jew, Hanniel sees a strong connection between the environment and Judaism and plans to pursue this avenue in his Rabbinical studies at The Academy for Jewish Religion. Hanniel is a Research Associate of Integrative Medicine at the Beth Israel Continuum Center for Health and Healing. He passionately promotes green healthcare environments and patient-centered care, believing them to be crucial components to patient recovery. Hanniel teaches philosophy, prayer, and religion to various and eclectic groups, including a small prayer group in the Rockaways, Queens and a learner’s group at a synagogue in Manhattan. He is also a painter, a competitive gymnast, who has competed on the national level, as well as a recently Registered Yoga Teacher. "I attended the Seder alone and felt completely comfortable in at my table. It was a wonderful mix of personalities and perspectives."